COLOR(S):Blue or blue spotted, red speckled (Puppies are born white). 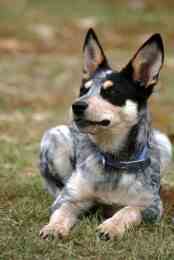 The Australian Cattle dog breed is an extremely hard working breed that is bold and determined by nature. They are friendly and loyal to familiar faces but wary with strangers. 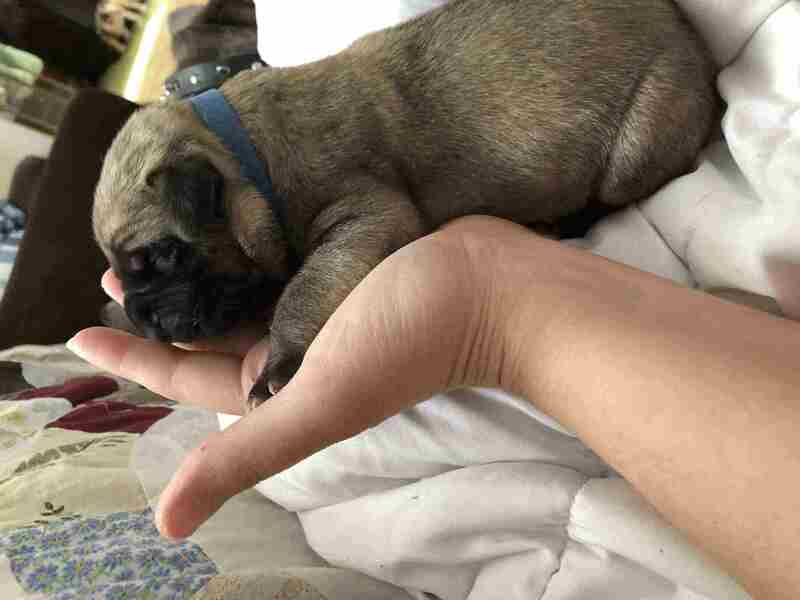 They do tend to be more of a one-person dog and will be protective yet easygoing. This hardy dog breed is smart, responsive and independent making them excellent cattle drovers. Increasing this excellence is their stubborn and tireless nature. Australian Cattle Dogs are more silent than the average dog and they may try to nip the heels of running children. The smooth double coat of the Australian Cattle Dog should be brushed about once a week to keep it clean and remove dead hairs. Remember to check the nails of this breed and, if needed, clip them regularly. Australian Cattle Dogs can have hereditary deafness and occasional eye problems such as Progressive Retinal Atrophy, or PRA. These dogs may also be prone to hip and elbow dysplasia. Australian Cattle Dogs have constant energy and need to be doing things. These dogs should be taken for a good jog or long work out every day. AuCaDos or ASDs need lengthy, vigorous walks ideally twice a day. Besides physical exercise, this smart breed needs lots of mental exercise as well. Starting at an early age, Australian Cattle Dogs should be trained to obey their owner’s commands to counteract their tendency to be headstrong.